Don’t miss this morning of complimentary relaxing yoga! This event is dedicated to bring health, fitness, and balance to all. 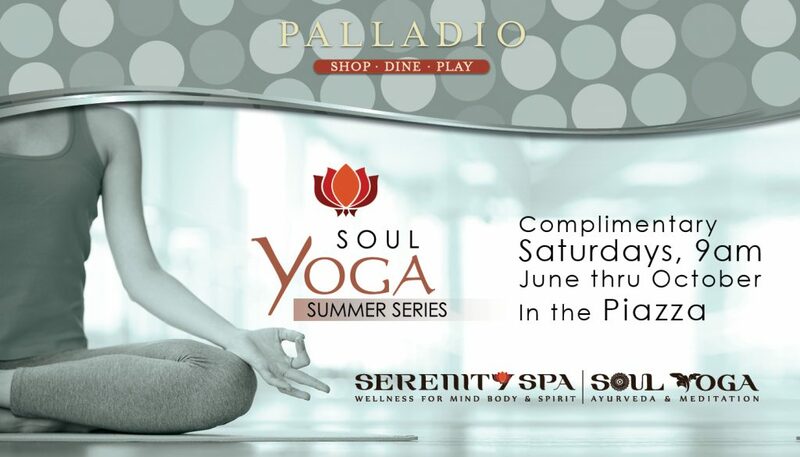 Please join us every Saturday June thru October, in the Piazza for a free yoga session at 9am, conducted by Serenity Spa & Soul Yoga. Don’t forget to bring your yoga mat.